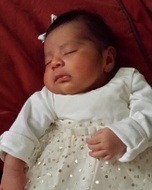 Selena Elsie Aleman, a 5-month-old Latina, was pronounced dead on Wednesday, Feb. 23, in the 8000 block of California Avenue in South Gate, according to Los Angeles County Sheriff's homicide investigators. South Gate Police officers were called to Selena's home around 4:47 a.m. regarding a call about a baby not breathing, said sheriff's Lt. Derrick Alfred. Her parents told investigators they put the baby to bed around 11 p.m. and when they woke up to get ready for work they noticed she wasn't breathing, Alfred said. Sheriff's Homicide Bureau investigators were asked to take over the investigation on Feb. 27, when the Los Angeles County Medical Examiner-Coroner's office declared Selena's death a homicide caused by traumatic injury, Alfred said. Jay Salinas Onofre, a Latino male, died Wednesday, July 11, in Westlake, according to Los Angeles County coroner's records. Axel Gavin Herrera, a Latino male, died Thursday, Sept. 28, after sustaining blunt force trauma. Ruby Vasquez, a 3-year-old Latina, was fatally stabbed Monday, Oct. 31, in the 800 block of McGarry Street in downtown L.A., according to Los Angeles County coroner’s records. About 5 p.m., the child, who was at a garment factory where her parents work, went to give her father a cookie, according to Los Angeles County prosecutors. Ruby was seen running with a man close behind who stabbed the child, police and prosecutors said. The child’s mother flagged down an ambulance, said Los Angeles Police Capt. Jorge Rodriguez. Ruby was taken to a hospital where she died. Witnesses told police that man accused of being the attacker -- authorities identified Ricardo Augusto Utuy, a 34-year-old Latino, as the suspect in the killing -- would sometimes talk and laugh to himself, Rodriguez said. Rosario Torres, a 1-year-old Latina, was stabbed to death Friday, Oct. 21, in the 13100 block of Van Owen in North Hollywood, according to Los Angeles County coroner’s records. About 11 a.m., Noe Torres, a 48-year-old Latino, stabbed his daughter in front of family members inside their apartment, said Los Angeles Police Capt. Stephen Carmona. Torres then set a small fire, stabbed himself and jumped out a back window. When police arrived, a kitchen knife was still in his body. Torres, who also had a knife in his waistband, refused to comply with officer’s commands, Carmona said. Police subdued Torres with a Taser and beanbag rounds, Carmona said. Jennabel Anaya, a 4-year-old Latina, died Sunday, Aug. 7, after she was shot in the intersection of East 9th Street and Locust Avenue in Long Beach, according to Los Angeles County coroner’s records. City and county authorities announced Friday a $40,000 reward for information leading to the arrest and conviction of the person who killed Anaya and her mother, Carina Mancera, 26. The girl was walking home from the grocery store with her mother and father, Luis Anaya, on Aug. 6, when a man approached the family about 10:20 p.m. and began shooting, according to Long Beach Police Sgt. Robert Woods. Sebastian Landa, a 21-day-old Latino, died Saturday, July 16, after he was beaten in the 7100 block of Makee Avenue in the Florence-Firestone neighborhood of South Los Angeles, according to authorities. Landa, who was born on June 25, was taken to a hospital with multiple blunt force injuries about 4:30 p.m. Thursday, July 14, said Los Angeles County Sheriff’s Lt. John Corina. His mother, Calixta Landa, 21, told doctors that her baby had fallen, but doctors told investigators that the injuries looked more like physical abuse, Corina said. 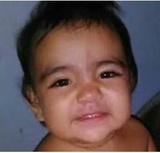 Landa later told investigators that she hit her baby earlier that day and then took him to the hospital, Corina said. 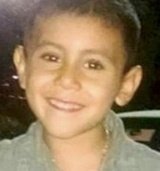 Salvador Esparza III, a Latino 4-year-old, died Wednesday, July 6, after he was shot in the 300 block of Figueroa Drive in Altadena, according to Los Angeles County coroner’s records. About 10:30 p.m. on July 5, Salvador had just stepped onto the front porch of a home his family was visiting when he was wounded along with a 27-year-old man, Lt. John Corina with the Los Angeles County Sheriff’s Department said. Deputies were flagged down after the shooting and led to the home, according to a news release from the department. Salvador, who lived in Monrovia, was taken to a hospital where he was pronounced dead at 12:19 a.m. the next morning, according to coroner’s records. 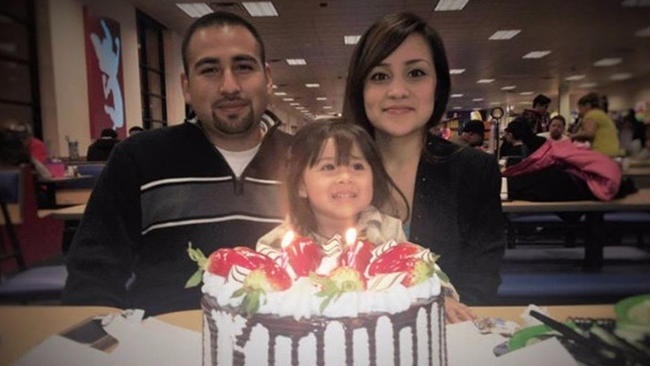 Natalie Vega, a 3-year-old Latina, died Thursday, June 16, after she was put in a burning car in the 300 block of West 124th Street in the Willowbrook neighborhood of Los Angeles, according to Los Angeles County coroner’s records. Vega was at Athens Park with her mother, Vanessa Ibarra, a 25-year-old Latina from Los Angeles, about 9:43 p.m., said Los Angeles County Sheriff’s Lt. John Corina. Ibarra had been living with family in the area off and on but recently had been living out of her SUV with her daughter, Corina said. That evening in the park, Ibarra set her SUV on fire, Corina said. According to witnesses, Ibarra kept getting in and out of the car, as people shouted at her to get away. Madison Fowler, a Latino female, died Sunday, Dec. 20. Jude Christopher Quezada, a 1-year-old Latino, was found dead from asphyxiation Wednesday, Oct. 21, in the 7300 block of Neo Street in Downey, according to Los Angeles County coroner's records. Family members called police about 8 p.m. after they went into the apartment Hernandez shared with her boyfriend and Jude's father, Nicholas Christopher Quezada, 29, said Downey Police Lt. Mark McDaniel. Hernandez, who was several months pregnant, was found in the bathroom with her son. Both were in the bathtub, which was filled with water, McDaniel said. Coroner’s records said Hernandez died from forced drowning and Jude died from "asphyxiation—homicide.” Hernandez’s unborn child, a boy, was discovered during her autopsy Oct. 25 and pronounced dead then, said coroner’s Assistant Chief of Investigations Ed Winters. Smith Fernando Garcia Rodriguez Jr., a 13-month-old boy, died Thursday, June 25, after he was beaten in the 14900 block of South Atlantic Avenue in East Compton, according to Los Angeles County coroner’s records. Los Angeles County Sheriff’s Department deputies discovered Smith after they received a call about a baby not breathing Sunday, June 7, about 4:25 p.m., according to a department news release. The baby had visible injuries, according to the release, and at the hospital it was determined he had significant internal injuries. Deputies arrested the mother's boyfriend, Rodrigo Hernandez, that evening on suspicion of child abuse. Hernandez, a 23-year-old Latino from Compton, lived with Smith’s mother and other children in the apartment. Hernandez allegedly told deputies that he had struck the child multiple times, according to a department news release. 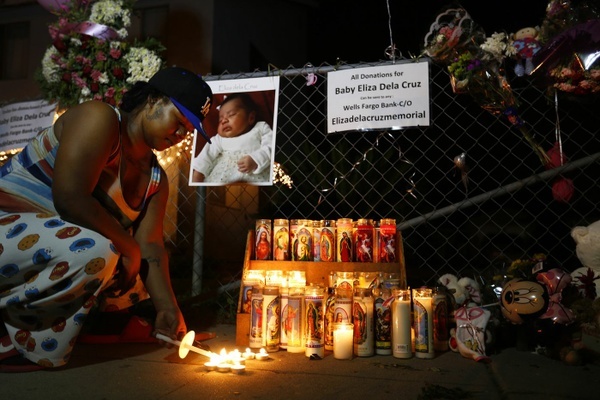 Eliza De La Cruz, a 24-day-old Latina from Long Beach, was pronounced dead on Sunday, Jan. 4, 2015, after her body was found in a dumpster in the San Diego County city of Imperial Beach, according to Long Beach Police investigators. The baby was pulled from her mother’s arms around 6 the night before after a man broke into their Long Beach home in the 100 block of West 51st Street and shot her uncle, father and mother, Long Beach Police homicide Det. Mark Mattia said. All three adults were hospitalized but survived the shootings. The next day, a man searching for cans to recycle in Imperial Beach found the infant’s body in a commercial dumpster in the 600 block of Palm Avenue, about 120 miles south of where she was abducted, according to the San Diego County coroner’s report.